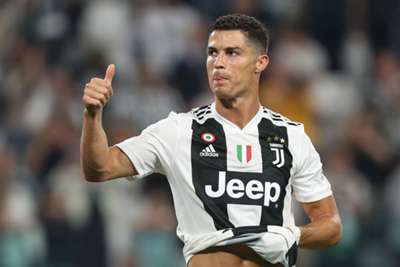 Former United defender Vidic spent three years playing with Ronaldo and he hailed the five-time Ballon d'Or winner ahead of his return to the Theatre of Dreams. "You need to have these kind of players in your team, these players they always push forward," Vidic told Omnisport, speaking at the Costa Smeralda Invitational. "They are never satisfied with their game, they want to improve and you have to have these kind of players in your team. "At the end of the day they are role models because they are good players and they are professionals and obviously an example to other players on how they have to work. "I was playing with him [Cristiano Ronaldo] a few years, we won a lot of trophies so we had great memories and obviously it will be a great moment for him to come back to Old Trafford again - hopefully this time he is not going to win. Great, player, top player, he was great for the club and a good team-mate."